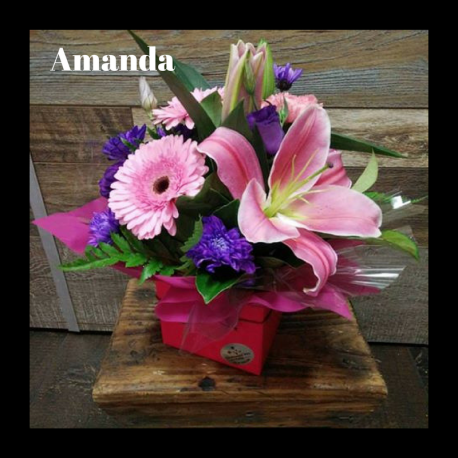 This stunning boxed arrangement contains gerbera's, lillies and pink gerberas with greenery. * Flower tones may vary from picture, lilium may be in bud. Price includes Local delivery, please check delivery Tab for all area's we deliver to.